Vestibular disorders are unfortunately common in cats. Also known as the labyrinth, the vestibular apparatus is a sense organ which is composed by three canals, an utricle and a saccule. The apparatus is stimulated by gravity and rotational movement and plays a vital role in allowing cats to orient themselves in space as well as maintain balance. A vestibular disorder essentially interferes with a cat’s ability to move correctly. A cat suffering a vestibular disorder is likely to wobble, circle, fall and roll continually with the world through their eyes seeming to spin. They may also lean again the wall to try and hold themselves up as well as crouch low to the floor when attempting to walk. Rapid jerking eye movements and head tilting are also common symptoms. The causes of vestibular issues vary. Some cats are affected by a simple inner ear infection, however other causes can be far more serious issues such as strokes, brain tumours, head trauma, thiamin deficiency and brain infections. Idiopathic Vestibular Syndrome is also a common cause of the problem. The syndrome is mysterious with there being no current understanding of how it begins. 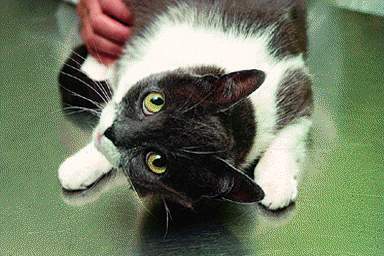 Onset is typically sudden and affects a cat’s ability to walk. There is a suggestion environmental factors may be to blame as there is usually a significant increase in cases in July and August in the United States. In idiopathic cases, just as suddenly as the syndrome begins, it ceases, with recovery usually occurring in two or three days. 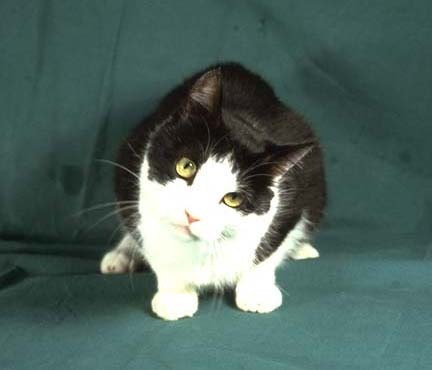 Generally speaking a cat with be healthy again in three weeks time, though some cats retain a permanent head tilt. Whilst recovery usually occurs naturally, a suffering cat will need supportive care from a veterinarian as eating and drinking will become difficult for them during the first stages of the syndrome. Disorders can also be the result of a congenital vestibular defect. Particularly prevalent in Oriental breeds such as the Siamese, kittens may born with the issue and manifest rolling and circling behaviours shortly after birth. Sadly, there is no cure. I have been prone to vertigo, and have taken an herbal holistic supplement, Zyvestra. I wonder if that could help a cat, too?